Christopher Orr Perfectly acceptable as an action movie but inspired as a comedy--which is probably where the Thor franchise should have been aiming from the start. 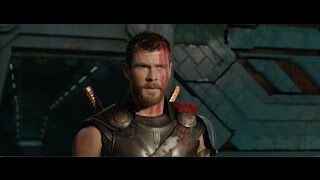 Justin Chang This viewer ... was wowed in fits and starts, but mostly filled with a new, ungrudging respect for Hemsworth. Bob Mondello Cate Blanchett's Hela is hella mean, hella snarky and hella striking with her hair slicked back into antlers. Barry Hertz The idea of pairing the oft-dull Thor with a series of oddball companions is an inspired, if necessary, move - so much so that it's baffling it has taken Marvel this long to smarten up. Adam Graham "Ragnarok" is supposed to play for laughs, but it feels like the joke is on the audience. Sara Stewart It's witty, it's weird and it goes against decades of bloated, overserious comics fare. Chris Klimek What it lacks in urgency - which is a lot, given that the story involves an extinction-level threat to Asgard and All Who Therein Dwell - it makes up for in alacrity. 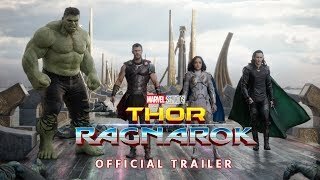 Richard Roeper The only thing I enjoyed more than the comedy in Thor: Ragnarok was a climactic battle sequence synced perfectly to Led Zeppelin's "Immigrant Song." 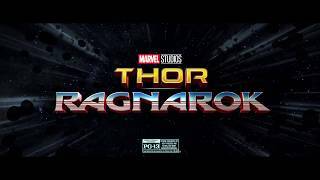 Matthew Lickona Director Taika Waititi's take on the God of Thunder plays a bit like the rock mockumentary This is Spinal Tap: it's front-loaded with jokes, built around a severe humbling, and full of silly bombast.